Occasionally I get overzealous in my downsizing and regret that I have let go of sentimental items. Such was the case of a Valentine of a bunny saying “Baby’s First Valentine,” given to me by my Aunt Theresa and taken out of a scrapbook, and my childhood Shirley Temple doll (complete with two dresses, one my mother had sewn), who had been packed away in the attic. I was living in a small apartment with little storage, so I consigned the Shirley Temple doll many years ago. From almost the moment I saw her, standing in the glass case and dressed up in the pink dress my mother had made her, I knew I had made a mistake selling her. I think the shop would have let me take her back had I asked, but I didn’t. But for years selling her had bothered me. Vicki Sullivan of Portland tutors in the Writing Center at Southern Maine Community College. Likewise I was upset that I had sold my vintage Valentine. After going through old, falling-apart scrapbooks, I tore out some vintage cards and sold them to an antiques dealer. After my aunt died a few years ago, I realized I should have kept the Valentine with her signature on the back. 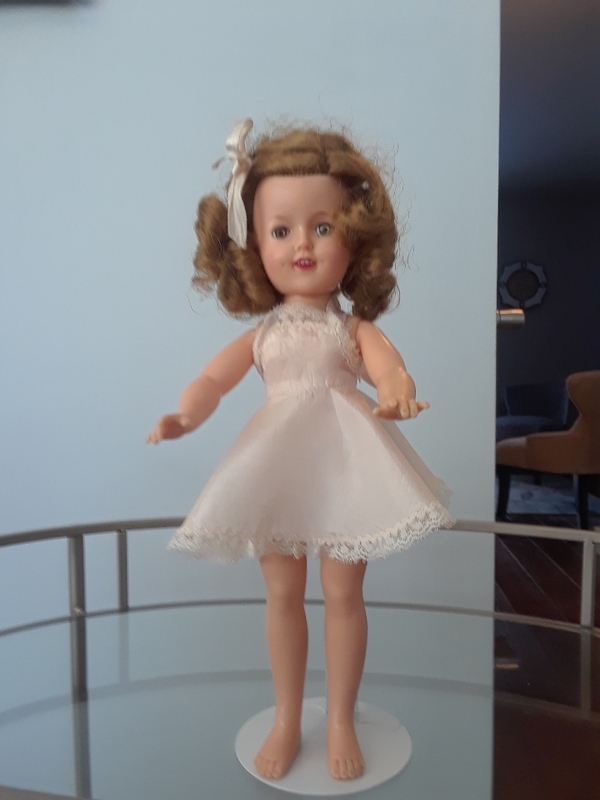 Years later, rummaging around at an antiques mall, I found a Shirley Temple doll, in great condition, still with her hair net (like mine had) and dressed in a pink slip. I bought her. I’d like to think she was my original doll who found her way home. Just this winter I went to the antiques mall where I had sold my Valentine a few years back. There it was, waiting for the rightful owner, me, to buy it and take it home. So I did. These days I think a little more before I get rid of something. But happily I have discovered that what is lost might be found.